Falling in line with the CES 2018 extravaganza, Planet Computers is dialing it back to the 90’s with the official release of its Gemini PDA after a successful Indiegogo campaign. It eschews hallmarks of modern smartphones – dual cameras, bezel-less designs and sleeker bodies – to hark back to a time when handheld phones were viewed as mini computers. The revamped Gemini PDA is the personal organizer for the 21st generation because it’s no longer powered by Symbian. 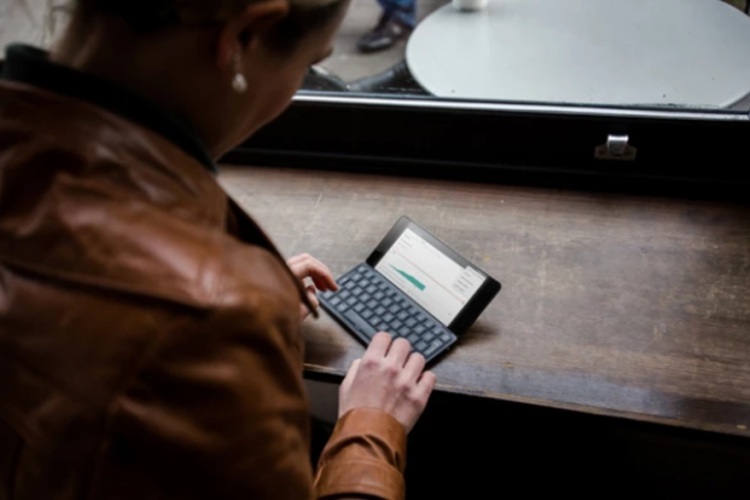 Planet Computers has breathed new life into Gemini PDA – with more than a passing resemblance to the iconic Psion Series 5 – by packing Android as well as Linux into one mobile device. It’s now available for pre-order via the device’s Indiegogo campaign page (linked above). It’ll most likely retail at a price of $449 for the Wi-Fi only model. Whereas you will have to shell out $100 bucks extra to get 4G LTE connectivity. The Gemini PDA, which first surfaced back in April 2017, features a lightweight clamshell design that houses a complete QWERTY keyboard. Purists will love the fact that the company has retained the same keyboard which endeared thousands of fans to the Psion. With help from Martin Riddiford and his design team, the company was able to resurrect the clamshell design, without making the device too clunky. The end result is a light and polished design that is reminiscent of the monochrome PDAs of the early ’90s. Despite the single camera, you do get a couple USB Type-C ports. You can use the second USB-C port to connect a portable drive, HDMI adapter, and it’s also used to charge the phone.